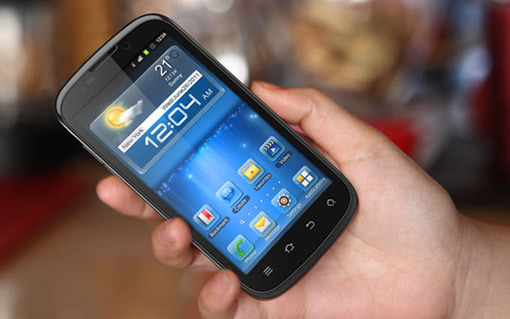 ZTE announced a new mid range phone called Mimosa X running Android 4.0 Ice Cream Sandwich. The smartphone uses NVIDIAâ€™a Tegra 2 application processor and itâ€™s Icera modem technology. NVIDIA till now used other manufacturers connectivity solutions to power itâ€™s processors, this is the first time NVIDIA is powering a Tegra processor along with the Icera Modem. Icera modem came to NVIDIA through its acquisition of Icera in 2011. Mimosa X features a 4.3 inch qHD (960×540) screen, 5MP rear camera, 1.3MP front facing camera, Icera 450 HSPA+ modem. It comes with internal storage of $GB extendable to upto 32GB. It supports A2DA Bluetooh, DLNA technology, HD video record and play, and comes with dual microphones, and built-in gyroscope. With the Tegra 2 processor it will have an access to the TegraZone, which is available only in high end phones till now according to NVIDIA. TegraZone is NVIDIAâ€™s free Android app that showcases games optimized for the Tegra processor. Mimosa x will be launched sometime in Q2 2012, no information on price and regions where it will launch first.